MS Dhoni and Sakshi Singh Rawat are truly couple goals. Very often does Sakshi keep posting adorable pictures which make us go awe in adulation. Now, Sakshi has posted another cute picture of herself and the former Indian captain MS Dhoni where the two are seen having a happy time with each other. The two have completed 11 years of togetherness and Sakshi could not stop herself from sharing her happiness with her followers. After Helping Sakshi Tie Shoelace, MS Dhoni is Now Fixing Wife's Bracelet - Did Online Trolls Force the Couple to Post New Photos? MS Dhoni and Sakshi knew each other since 2008 when the latter was an intern at Taj group of hotels in Kolkata. Dhoni arrived at the hotels as a guest and it was her sincerity with her job that got Dhoni’s attention. The two managed to keep their relationship under the wraps. Sakshi and Mahi tied the knot on July 4, 2010, in Dehradun with a few selected members of the family attending the private ceremony. Talking about the post, Sakshi posted an adorable picture with Mahi where she is seen hugging her husband. “11 years ❤️ ,” read the caption of the snap. According to Mahi, Sakshi is the third most important thing in his life. “I love my country. I tell my wife she is only the third most important thing after my country and my parents, in that order. The point is that while I am an Indian cricketer, I will devote myself to that cause. Cricket is not everything, not by any means, but it is a large part of who I am. Therefore, I want to play in all formats of the game and to play as much as possible because before long it will be over. 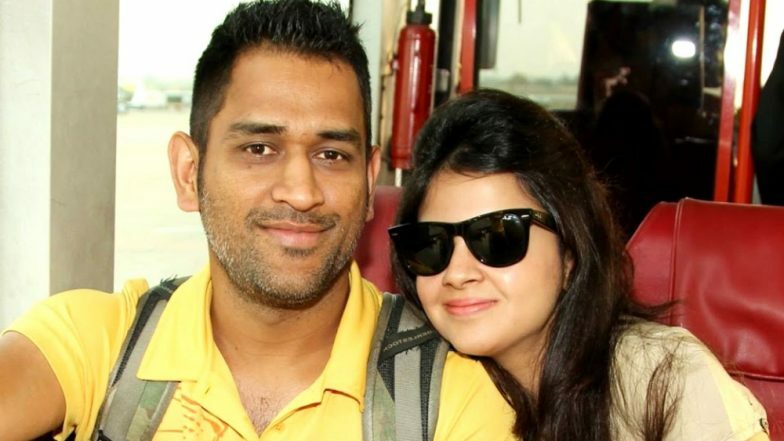 Then I’ll focus more on the Army!.” Sakshi and Mahi have been married for 11 years now and they have a daughter named Ziva.